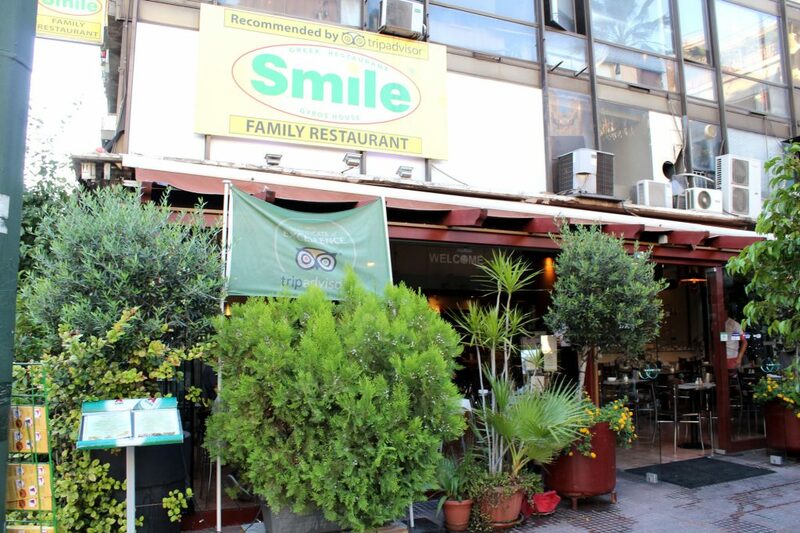 To start our time in Athens, our first choice was Smile Restaurant, for an authentic mousaka and a gyro! Hubby and I had already in mind what each of us wanted for lunch, so our order was super straightforward. 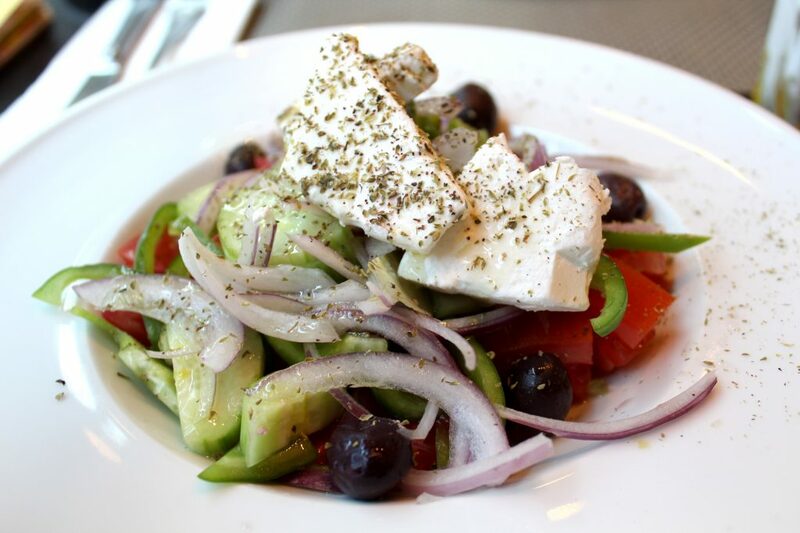 To share: Greek salad – Tomato, cucumber, olives, capsicum, onion, feta cheese & capers. 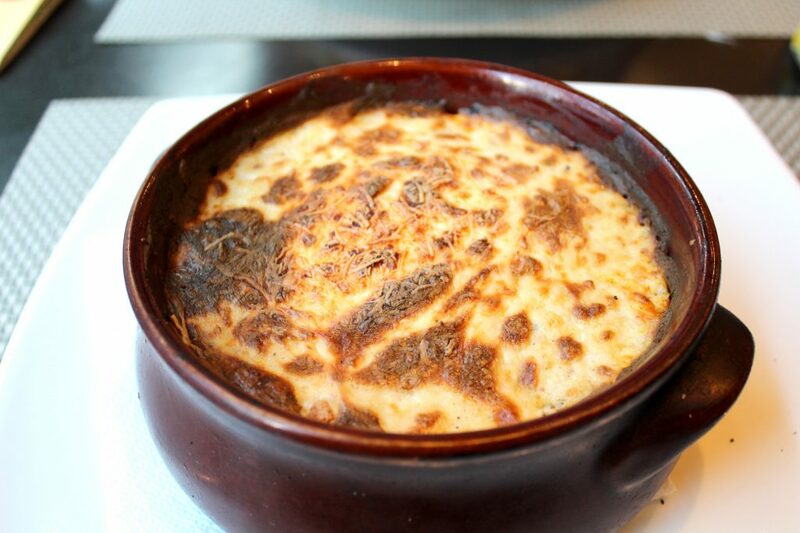 Mine: Mousaka – Layer of eggplant, a layer of potato, minced beef, cream, and cheese. Hubby: Pork gyros platter – with hot chips, tomato, onion, pita bread, and tzatziki dressing. Greek salad – Tomato, cucumber, olives, capsicum, onion, feta cheese & capers. 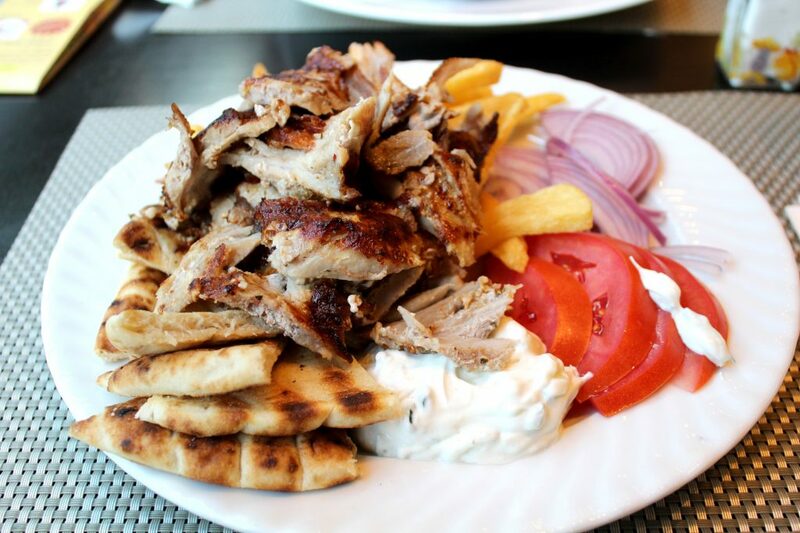 Pork gyros platter – with hot chips, tomato, onion, pita bread, and tzatziki dressing. As we expected, everything was AMAZING! We loved every single dish, and that Greek salad was from heaven. Actually, hands down for all the salads we had in Greece. It is impressive how these guys know how to make very good salads with simple ingredients. Keep tuned to my future posts about Greece and you will see what I’m talking about. It is a good place for authentic Greek food. Needless to say anything about the food, this is a very good spot in the middle of busy Athens. Staff is super friendly and understands English well.